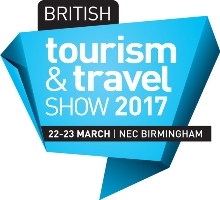 Free visitor registration for British Tourism & Travel Show 2017, which returns to the NEC Birmingham on 22-23 March, is now open. Just four months ago many of the UK and Ireland's biggest domestic tour operators, coach operators, travel organisers and agents were in attendance at the 2015 show - including Acorne, Albatross Travel Group, Alfa Travel, Angela Holidays, Bakers Dolphin Coach Travel, British Airways Holidays, Coachholidays.com, David Urquhart Travel, easy-breaks.com, Edwards Coach Holidays, Epsom Coaches, Galloway Travel, GB Tours, Gold Crest Holidays, Great Rail Journeys, Hanson Exclusives, Interchoice Holidays, JAC Travel, John-sons Coaches, Jones Holidays, Kuoni Group Travel Experts, Lucketts Travel, Marchants Coaches, Miki Travel, National Holidays, Newmarket Holidays, Parrys International, Rondo Travel, Saga Holidays, Shaws Coaches, Shearings Holidays, Superbreak, Thomas Cook, Titan Travel, Travelzoo, Virgin Experience Days, Voyage Privé, Woods Coaches, and Woods Travel. They were just some of the 2,581 trade visitors, which helped contributed to the show's 10% increase in attendees for 2015. Numbers aside, it also won a host of glowing feedback and recommendations. It was even shortlisted for a national best trade show award by the Association of Event Organisers. "Once again the British Tourism & Travel Show was a really useful day, a fantastic opportunity to research emerging trends and learn about exciting new products," says Tim Burghes, senior buyer at Virgin Experi-ence Days. "If you're looking for inspiration then this is a good staring place for any tour operator. The show has a plethora of hotels and attractions on parade with helpful representatives," says David Calver, managing director of Caltours of Birmingham. "Working in travel is, for me, always about meeting people face-to-face, being inspired and finding compel-ling new destinations for our customers, which is why this year's event was such a great success. It af-forded me the opportunity to begin exciting new partnerships and develop even stronger relationships with current suppliers," says Neil Cron, UK & Ireland product manager at Saga Holidays. 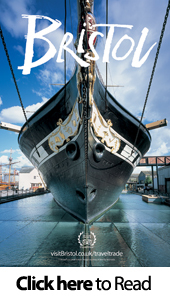 "It was my first visit to the British Tourism & Travel show and it exceeded my expectations. There was so much enthusiasm from everyone that we met - it was one of the most engaging travel shows I have at-tended. I came away with some great ideas for new products and many exciting contacts," says Jayne White, product manager at Titan Travel. 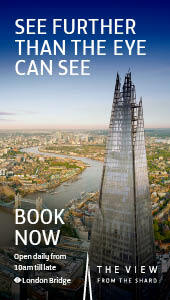 "British Tourism & Travel Show is without doubt the best trade show in the calendar. As usual, it was an extremely productive, entertaining and enjoyable two days," says Gary Lloyd, tours manager at Marchants Coaches. "Great day spent at the show doing business. It's perfect for seeing everyone in the one place," says Emma McMillan, groups manager at David Urquhart Travel. "My favourite show, it never fails to produce," says Chris Lodge, director of Lodge Coaches. "It's my favourite travel trade show, where I get to network with colleagues old and new - there's always such a great mix of attractions and suppliers. Each year I visit, I come back to the office enthused, and with new ideas for different tours for the following season," says Denise Hanson, proprietor of Hanson Exclu-sives escorted holidays. Looking ahead to 2017, the show will feature over 260 leading visitor attractions, venues, destinations, ho-tels, transport providers, associations and DMOs. To register to attend, please visit https://registration.n200.com/survey/3merbygtnzi4j.